Stuart Evans - Developer - Toronto, ON. Champion of iterative team workflows and processes. I have full-stack developer abilities with a preference for prototyping, front-end development and design. The user experience is paramount and will always command my utmost attention. In my locker I do have awards such as FWA’s (7) and Cannes Lions (1) along with contributing as part of the team to a recent Agency of the Year (1) win...but awards don’t matter right? Right. What matters is making products which solve real jobs to be done, on time. I love music and film and I’m an avid soccer player and motorcycle enthusiast. I live to create and to make an impact in everything I can be involved in. On top of all that I’m also a pretty good cook! I started my career as a designer before becoming development focused...this design sensibility has helped me bridge working between team disciplines as well as offer avenues for creative solutions. Here you'll find a selection of projects I've worked on with a brief for each. I’m happy to further discuss my particular role(s). A letter of recommendation is also available upon request. 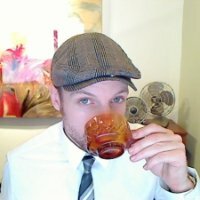 Created a custom wordpress admin with multiple content types and also implementing third-party video curation and storage. This admin needed to handle the creation of syndicated stories, multi-day EDM event coverage, new audio track and video releases along with long and short-form story writing pieces. Fully responsive, scaling front-end using SASS. Creation of systemized taxonomy for organizing the various content pieces into a logical and easy to grasp setup for editors to dive in and create. Conceptual work around creating a new student app for tracking growth and bringing the course material to the student. Developed fully responsive prototypes for student facing app using Ember.js built upon a Ruby on Rails backend. Graphs and charts for course progress and data visualizations were also prototyped. Kandu is an iPad app which allows kids and adults to build games or interactive applications with no prior programming knowledge. My work consisted of figuring out how to create a minimal interface which would allow the user to visually edit and create simple and complex objects on screen. Each object created could also be programmed with behaviours which required a different interface. This UI needed to access all of the various events, behaviours and relationships an object could posess and resond to without taking over the entire screen. More info about the App can be found at Kandu.com. Developed the product sharing app Krush website for letting users post, view and update their content. Asset upload system using drag and drop from desktop or browser tab along with direct file upload form elements. Built with Node.js on AWS while also incorporating a user account system with oAuth integration. The National Parks Project was a film, music and digital documentary project which brought Canadian musicians and directors together for a unique film and score for 13 of Canada's national parks. Here are a few of my old games which were created while I was employed at Kaboose. The games were original content for a group of websites whose target audience were either younger children aged 4-8 or the 'tween' demographic of kids aged 9-12. Kaboose was, along with all of its content and properties, later acquired by Disney. I did the programming for these along with audio, UI, concept, tools...blah, blah, blah. Special mention to Bruce Simpson, Anthony Pilger and Shannon Mistry as their contributions made them possible.